Vegetable mix on the table. Top view. Old table with a variety of vegetables and fruits. hd00:20Autumn vegetables, berries and fruits. Seasonal autumn food - pumpkins, corn, apples, pear, viburnum, physalis. Slow motion. hd00:21Autumn vegetables, berries and fruits. 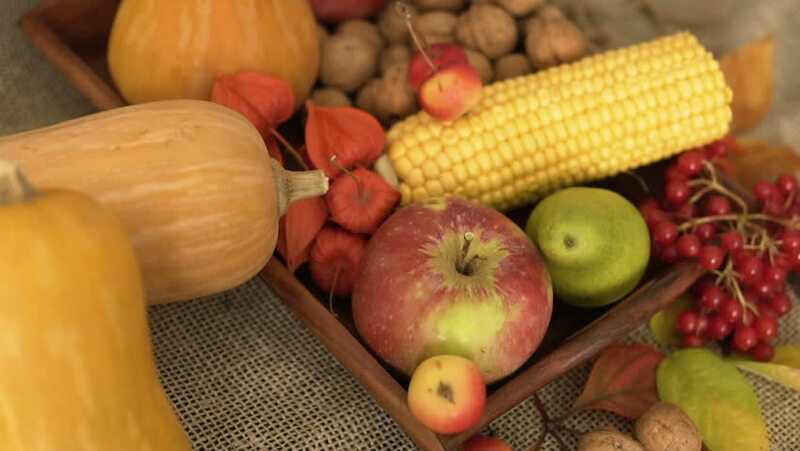 Seasonal autumn food - pumpkins, corn, apples, pear, viburnum, physalis. Slow motion. hd00:34Vegetable mix on the table. Top view. Old table with a variety of vegetables and fruits. hd00:23Autumn vegetables, berries and fruits. Seasonal autumn food - pumpkins, corn, apples, pear, viburnum, physalis. Slow motion. hd00:21Vegetable mix on the table. Top view. Old table with a variety of vegetables and fruits. 4k00:14colorful still-life on a colored background. Pumpkin, squash, apples. Autumn harvest. 4k. hd00:18Vegetable mix on the table. Top view. Old table with a variety of vegetables and fruits.